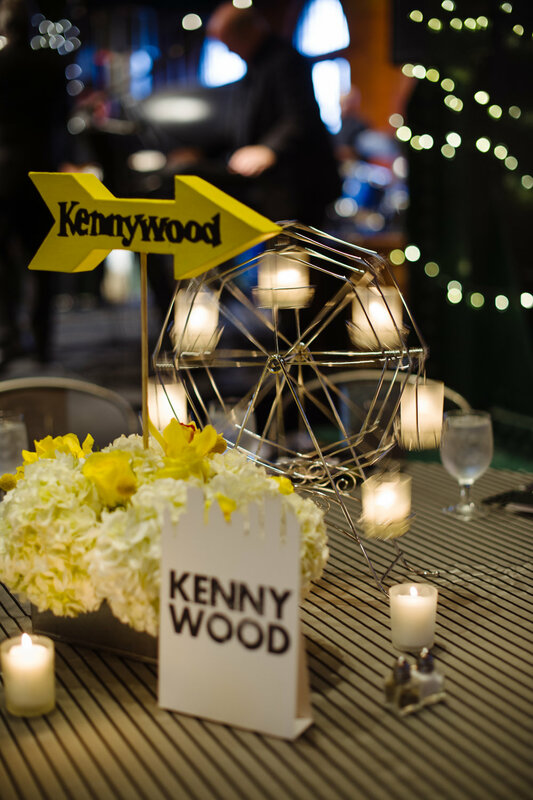 With so many to-dos + formalities to come during the wedding weekend, Katie + Tony made sure their guests were welcomed to the Steel City with a stylish + super fun kickoff event. 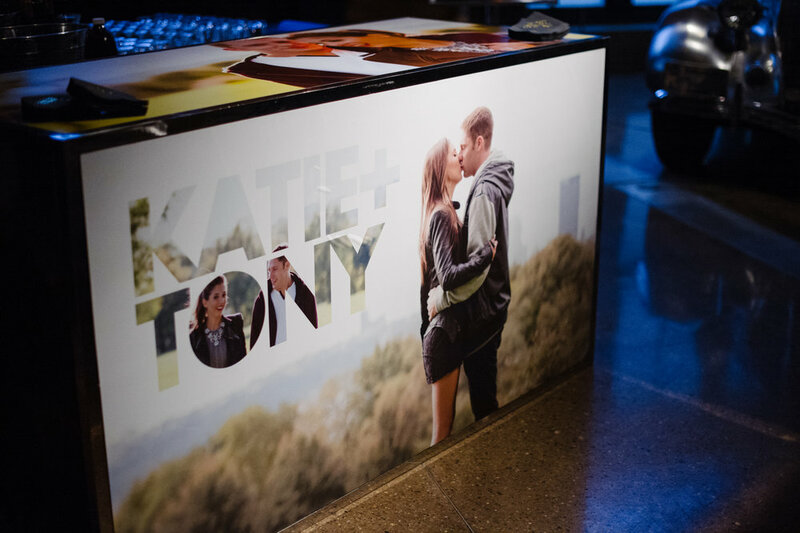 (Seriously, K + T gave their guests a wedding weekend experience that was second to none!) 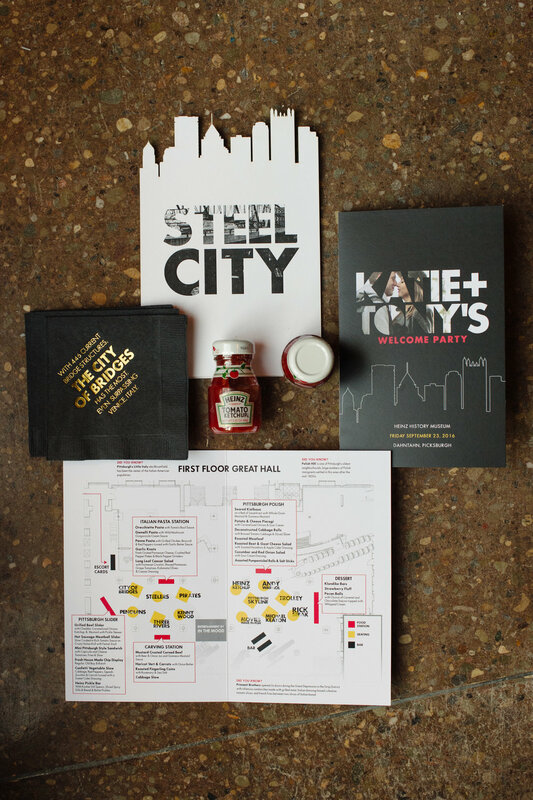 Branding our beloved City of Pittsburgh is exactly what these high school sweethearts envisioned for their welcome party. 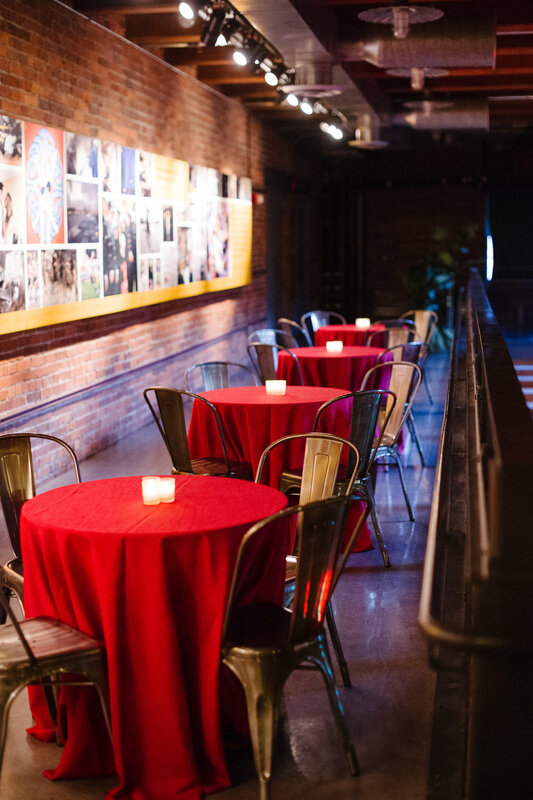 The historical Heinz History Center was the perfect venue and set the stage along with key elements of the 412 that were intentionally sprinkled throughout the design + details. Guests of the bride + groom from near and far took a food tour with a taste of neighborhood classics. 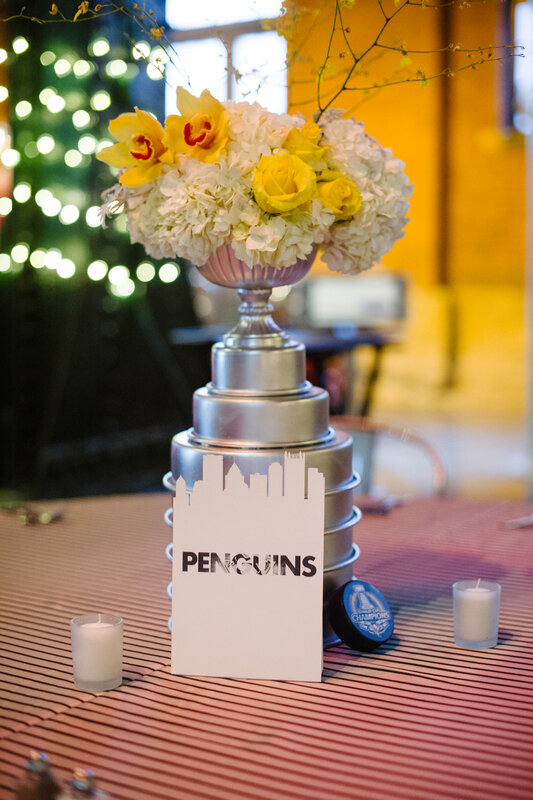 Floral fabulousness infused with iconic cultural and sports traditions was oh-so-Pittsburgh! 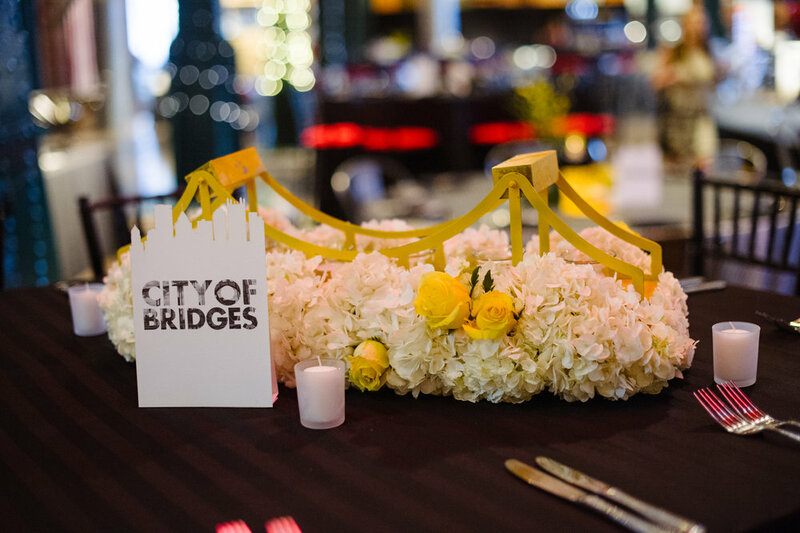 This couple's love for their city intertwined with their love for each other and was the perfect theme to kick off their epic wedding weekend in the 'Burgh! 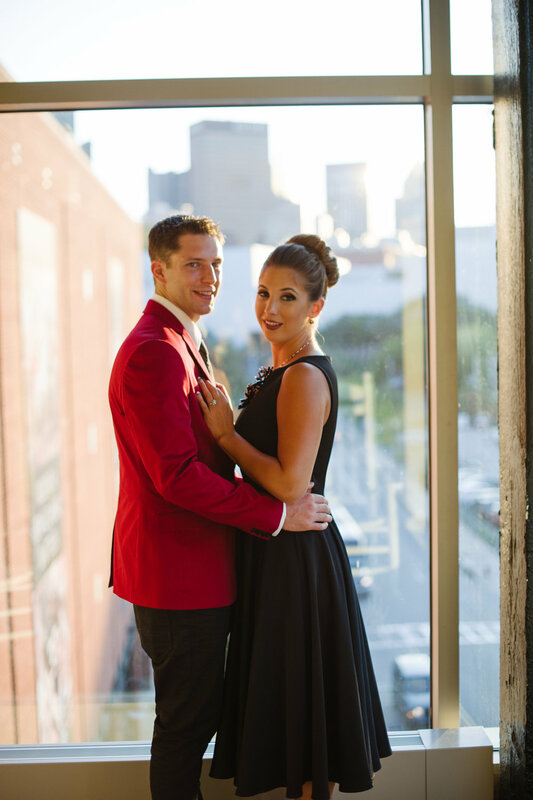 We are so excited to see all of their jaw-dropping wedding events featured in Whirl Magazine this month!